A Cow a Day, and a Reference Guide into the World of Cattle. My Daily Cow is the result of six years of research. It's self-contained and doesn’t use your data plan or require WiFi. 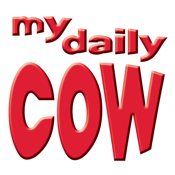 • TODAY - every day, you’ll see a random cow from a database of 605 bovines. • HISTORY - keeps track of your daily cows, starting with your first cow. 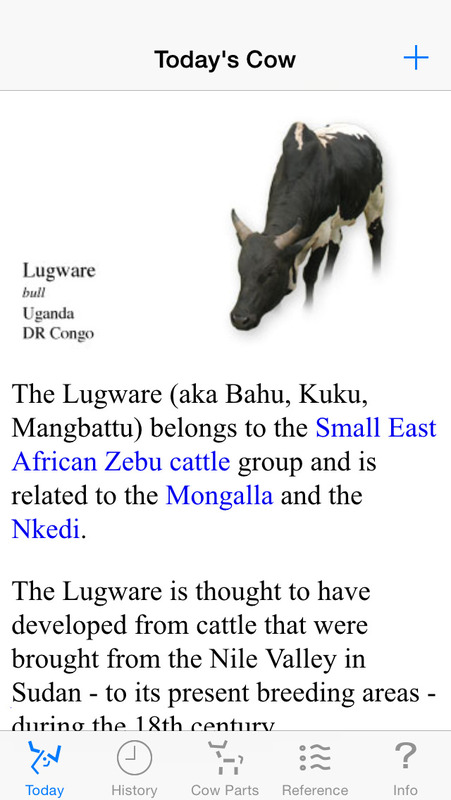 • COW PARTS - lets you explore cow anatomy: from horns to hooves, from udder to stomach. • REFERENCE - cattle are organized alphabetically, by groups, by uses, and by 117 countries/areas of origin. Plus, there's a glossary filled with detailed bovine information and a list of your favorite cows.